While opening up a twitter account, twitters automated program pops up some recommended accounts to follow. These are quite often accounts that we might not be interested in. 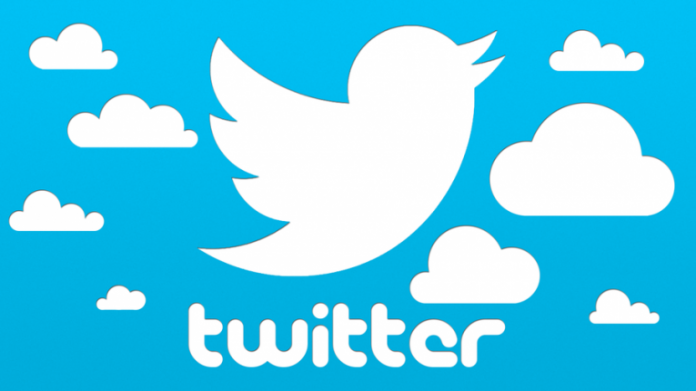 So Wondering how to get the most out of your Twitter account. One important way to achieve this is to follow other twitter users that provide great insights by virtue of their experience and standing. However, it’s also important to exercise some selectivity about the accounts that you follow or you might end up with irrelevant clutter. The below compiled list of top 10 nutritionists to follow on Twitter includes a diverse group of nutrition experts (nutritionists), food experts, and food activists taken from around the world. Why follow: A former elite-runner and tri-athlete, Mark authors the website MarksDailyApple.com, where he dishes out valuable health tips and blog posts on a daily basis. Following Mark is a must for those who want to find recipes that are 100% paleo. Why follow: Shubi Husain is an award winning nutrition expert, specializing in innovative weight loss and obesity management. She is on date considered one of the most sought after nutritionist and lifestyle celebrity. She prides in having counselled top politicians, media moguls and royalties worldwide. Shubi regularly finds time to offer free diet & nutritional advice through her twitter account. Why follow: If nothing else, this account already has over 2.4 million other followers, so it’s certainly popular. The news feed offers a variety of nutrition tips that are easy to digest. Perhaps just as important, there are plenty of motivational Tweets that can help people stay on track with their goals. Why follow: Chris Kresser refers to himself as a healthy detective. In that spirit, he Tweets all sorts of timely health and nutrition information. He also has a pretty good sense of humor about some current health topics, so this account can be a lot of fun. Why follow: This celebrity chef tweets out some fantastic recipes, but why does he belong on a list of nutrition accounts? He works to promote real food and has been helpful in the effort to get unhealthy food out of school lunches. Besides, he also tweets some fantastic recipes and is fun. Why follow: Ms. Bauer’s day job is for the NBC Today Show as the nutrition and health consultant. She has attracted almost a quarter of a million Twitter followers. Followers can enjoy healthy recipes, nutrition tips, and some fun food facts. Why follow: This doctor and formally trained chef also works as a host on PBS. He focuses on healthy eating as a way to maintain weight and promote good health. Dr. La Puma strongly advocates healthy eating as the best type of preventative medicine. Tweets include current nutrition topics, motivation, and quick tips. Why follow: This certified holistic nutritionist combines nutritional advice with a few Internet tech tips and marketing advice. She emphasizes using nutrition as an anti-aging solution. Why Follow: This NYU professor also runs FoodPolitics.com. Rather than focus on recipes or eating tips, Dr. Nestle really focuses on ways that politics influence the food for sale to consumers and how food companies get involved in these politics. She has about 130,000 followers and an active and interesting news feed. Why follow: This is actually a USDA effort to promote nutritional programs for children. While the focus is supposed to be on recipes and healthy eating tips for kids, plenty of their recipes look appetizing for adults as well. Some of this account’s Tweets are also aimed at age-appropriate nutrition guides for children. The more that you dig into nutrition experts on Twitter, the more obvious it becomes that is is hard to narrow the list down to only ten nutritionists and food experts. Besides, different people may want to focus on diet tips, nutritional remedies, food for children, or the latest health news. After you select and follow some of these accounts, Twitter will help by suggesting other related nutrition influencers. Following some of the conversations on these feeds is another way to uncover useful folks and organizations to follow.